This fabulous Moon Valley home has North South exposure…it’s light and bright…newer roof and HVAC, neutral Berber carpet, front yard with enclosed courtyard and a large backyard with mountain views. Den?office could easily be a 3rd bedroom it has a full sized closet. Built in cabinets and workbench in the garage. Near four golf courses and Pointe Tapitio Hilton Resort. Come take a closer look…you’ll like this home! Directions: North on 7th Street from Thunderbird Boca Raton Road entrance is on the West side of 7th Street…home will be on the South side of Boca Raton Road. Approximate size: 10362.00 sq. ft. Please, send me more information on this property: MLS# 5911605 – $275,000 – 635 E Boca Raton Road, Phoenix, AZ 85022. 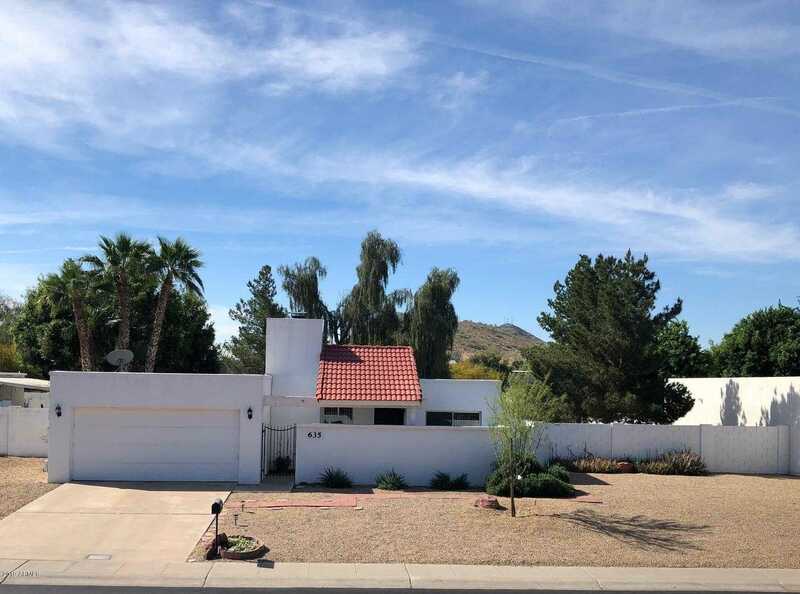 I would like to schedule a showing appointment for this property: MLS# 5911605 – $275,000 – 635 E Boca Raton Road, Phoenix, AZ 85022.